As the Internet develops into a more social, connected, and sleeker version of its former self, data security has risen to the top of every businesses’ checklist. According to a recent study, ransomware attacks have grown by over 350 percent annually, making transacting business online more complex than ever before. Companies, like Google, are on a quest to build a more secure web, and over the past few years, the search giant began pushing all websites to use SSL Certificates (Secure Sockets Layer), which establish an encrypted link between a web server and browser. Google announced that its popular browser, Chrome, will label webpages not on SSL Certificates as “Not Secure” when browsing. All other browsers began to follow suit shortly after Google, meaning your website will be flagged if it fails to operate on a SSL Certificate. With raised awareness surrounding data security, research shows that 85 percent of online consumers will cease use of a website that isn’t secure. Therefore, the need for SSL Certificates cannot be overstated. It benefits the overall welfare of your business while protecting users, who are guaranteed to think poorly of a website, which is defenseless against online attacks. Traditionally, SSL Certificates were used to safeguard credit card transactions or login information, but today, they’re an expected safety measure on any website — regardless of industry or intent. Because today’s world heavily relies on wireless connectivity, we’re not only dependent upon seamless data transfers, but also the security measures beneath these processes. As the Internet progresses, new precautions are implemented to protect users from the dark side of the web. SSL Certificates, being one of these very precautions, provide online users with a virtual bond of trust that boosts network security and mitigates business risk. So, how does it all work exactly? SSL Certificates are enacted with what is known as a “handshake.” The handshake is initiated when a user accesses a website via browser, like Chrome or Safari. Before the browser attempts to connect to the website, it requests authentication of the site’s identity. At this point, the website sends the browser a copy of its web certificate. If the browser approves of the certificate, the site forwards a digitally signed acknowledgement to start an encrypted session and displays a padlock in the browser bar. From this point forward, any encrypted information transmitted during the session is only accessible between the parties involved. SSL Certificates are not only imperative to your business’ internal network security, but they’re also important in the eyes of Google . As a result, websites without SSL Certificates will display a default message, asking users if they would like to proceed to the website. If a user accepts the prompt, a “Not Secure” message will be present in the browser bar, warning the user against supplying the site with any personal information. Additionally, Google has revealed that they use SSL Certificates as a ranking signal, meaning that SSL-enabled websites will experience higher page rankings than ones without. Finally, no conversation about SSL Certificates is complete without mentioning its benefit to your end-user. 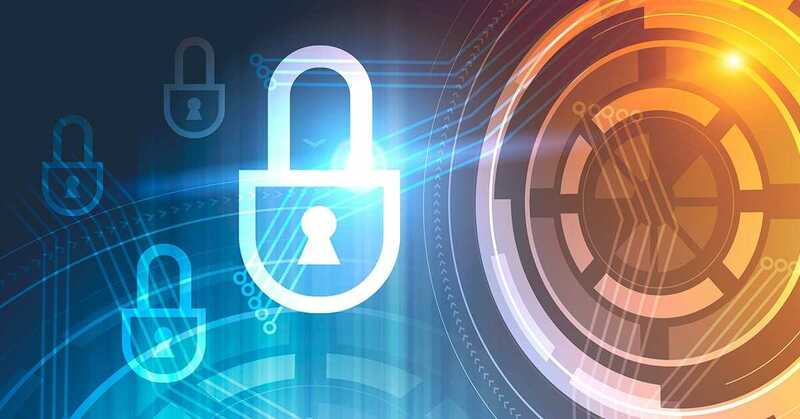 Just about everyone has been impacted by online data breaches, which is why establishing a trusted online connection is crucial — especially for multifamily operators, who handle a lot of personal data in their day-to-day workflows. Establishing a secure website will boost your position as a reputable business in the eyes of search engines and prospects alike, eliminating security concerns for you online users. There are a multitude of reasons why SSL Certificates are a must-have in the multifamily housing industry. Don’t leave your apartment community website vulnerable to being flagged as unsecure. Instead, devote the resources needed to improving your online user experience with SSL Certificates, which will build upon your community’s online credibility. Charles Raffay is a digital marketing strategist and search optimization expert. He is the Chief Operating Officer of 365 Connect, a leading provider of award-winning marketing, leasing, and resident technology platforms for the multifamily housing industry. Desired Position I want to write code. I want to make amazing designs. I want to support customers. I want an internship. I want to be an all-around rockstar.